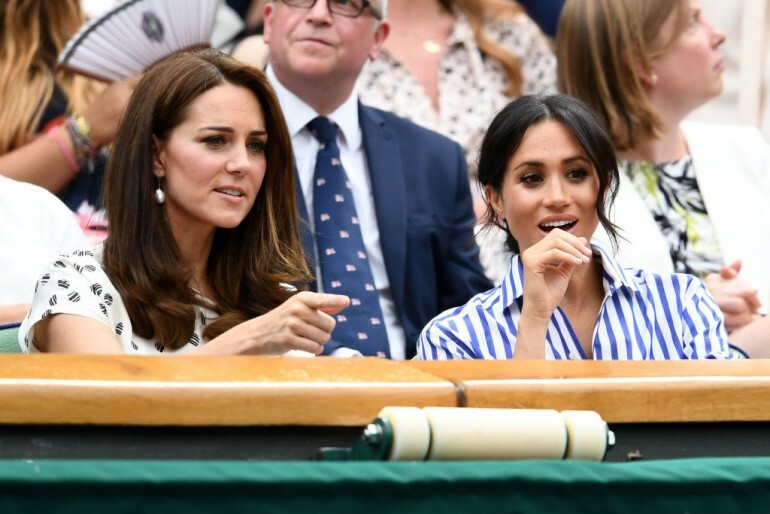 People have been pitting Meghan Markle, Duchess of Sussex, against Kate Middleton, Duchess of Cambridge, for quite a while now. While the two royals are expected to have some differences, they actually have a lot more in common than most fans probably realize. 1. Both were born in the '80s, just four months apart. The two duchesses came from the same age group as both were born in the '80s. Meghan’s birthday is Aug. 4, 1981, while Kate was born on Jan. 9, 1982. This makes the Duchess of Sussex just around four months older than the Duchess of Cambridge. 2. Both are tall. One thing fans will immediately notice from their photos is that both women are quite tall. Meghan’s height is 5 foot 7 inches, while Kate is 5 foot 9 inches, making the latter just two inches taller. 3. They come from a working class/non-aristocratic background. As every fan knows by now, both Meghan and Kate came from a working class, non-aristocratic background. The Duchess of Cambridge came from a wealthy family. His father was an aircraft dispatcher for British Airways, while her mother was a flight attendant for the same airline. Meghan also comes from a working-class family. Her father was a Hollywood lighting director, while her mother was a social worker. 4. Both have college degrees related to art. Both women are incredibly smart and have university degrees to be proud of. But the surprising thing is that their degrees are both art related. Meghan has a bachelor’s degree in theater and international studies from Illinois’ Northwestern University. Meanwhile, Kate has a master of arts degree in art history from the University of St. Andrews. 5. Both are fashionable. Both Kate and Meghan have impeccable fashion style. This explains why millions of fans worldwide have been following what they are wearing whenever they appear in public. One of the few differences between Kate and Meghan is their career experience. Meghan had a very successful career as an actress before she opted out of show business to focus on her royal duties. Meanwhile, Kate only worked briefly in the private sector as a part timer in the fashion chain Jigsaw. This brief career is probably because Kate met Prince William when she was still 19 and dated him for eight years until they married in 2003. On the other hand, Meghan first met Prince Harry when she was already 34, giving her enough time to pursue a full-time career without all those royal intrigues coming in the way.